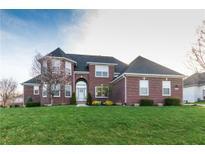 Below you can view all the homes for sale in the Oak Manor subdivision located in Westfield Indiana. Listings in Oak Manor are updated daily from data we receive from the Indianapolis multiple listing service. To learn more about any of these homes or to receive custom notifications when a new property is listed for sale in Oak Manor, give us a call at 317-427-7201. New Deck, Paver Patio, Fire-pit, Nicely Landscaped Backyard, & Irrigation System, School Bus Pick Up Right Outside the Front Door & Just a Short Walk to the Pool! MLS#21632819. RE/MAX Legends Group. Neutral paint, new plush carpet, quartz counters, marble tile. Come and see! MLS#21630471. F.C. Tucker Company. Photos shown may be artist rendering, model home or of same model. MLS#21629598. CENTURY 21 Scheetz. Photos shown may be artist rendering, model home or of same model. MLS#21629625. CENTURY 21 Scheetz. Photos shown may be artist rendering, model home or of same model. MLS#21629614. CENTURY 21 Scheetz. Photos shown may be artist rendering, model home or of same model. MLS#21629607. CENTURY 21 Scheetz. Photos shown may be artist rendering, model home or of same model MLS#21626942. CENTURY 21 Scheetz. Photos shown may be artist rendering or model due to construction stage. MLS#21626937. CENTURY 21 Scheetz. Photos shown may be artist rendering, model home, or of same model MLS#21626930. CENTURY 21 Scheetz. Photos shown may be artist rendering, model home or of same model. MLS#21626932. CENTURY 21 Scheetz. The elegant features are too long to list, but this executive style home is ready for its new owners! ! MLS#21625829. Keller Williams Indy Metro NE. Photos shown may be artist rendering or model due to construction stage. MLS#21625560. CENTURY 21 Scheetz. Photos shown may be artist rendering, model home, or same model MLS#21625545. CENTURY 21 Scheetz. Photos shown may be artist rendering, model home, or of same model MLS#21625549. CENTURY 21 Scheetz. Minutes to Grand Park, The Bridgewater Club, and Schools. MLS#21623675. RE/MAX Legends Group. Do not miss out on this 2 story, 3 bedroom, 2.5 bath home. MLS#21616139. Weekley Homes Realty Company. Do not miss out on this 2 story, 3 bedroom, 2.5 bath home. MLS#21616140. Weekley Homes Realty Company. 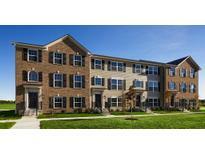 Enjoy the Living Weekley experience in this 2 story, 3 bedroom, 2.5 bathroom new home. MLS#21616151. Weekley Homes Realty Company. Experience the amazing LifeDesign features of this 2 story, 3 bedroom, 2.5 bathroom new home for yourself! MLS#21613881. Weekley Homes Realty Company. Don't miss out on the opportunity to make this beautiful 2 story, 3 bedroom, 2.5 bathroom home your own! MLS#21613888. Weekley Homes Realty Company.